Death for me is a reminder to live. I am sad and reflective with the passing away of colleague and friend Liz Elliott on Sept 9th. 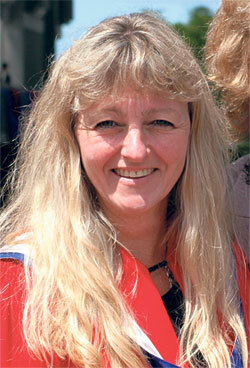 I first met Liz in the early 90s as doctoral students at Simon Fraser University. She already had vast experience and went on to become a professor and founding director of the Centre for Restorative Justice at the university. She impacted many many lives, including through her work in prisons. Many learned of restorative justice and went on to become advocates because of her classes and passion. One of Liz’s gifts to us and part of her legacy is her scholarship. 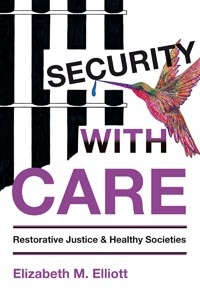 Her book, “Security with Care: Restorative Justice & Healthy Societies” was just published this year. This is an excellent book; full of stories, theoretical discussion, research and challenging questions. Liz is such an invitation; she lived large, spoke her mind, was thoughtful, connected to her heart and always contributing. She has passed the torch on to us. So I am revisiting questions. Am I living up to my full potential? What further contribution can I be to bring about change and to leave a worthy legacy? Thanks Liz. You are missed. What a beautiful article, Evelyn! I never had an opportunity to meet Liz in person but her words about Restorative Justice always touched my heart. RIP Liz Elliott. We all have a responsibility to make the world a better place starting with addressing our own views and actions; reflecting on our past actions and reactions and asking the question what can I do or do differently to change the world for the better? I remember the Late Great Dr. Elizabeth Elliott (Liz) was always ready to STAND UP for justice and compassion, kindness and decency. I remember asking Liz how was she able to stand up to big institutions and great powers that could probably crush us all? Hello Malik! It is so wonderful to hear from you. Sorry for my technical delay in responding. Thank you for reading this post and for your very thoughtful response. I so appreciate you sharing more words of wisdom. You too are such a contribution to our world.